It is a common misconception that only new businesses and online startups need search engine optimization. Even established businesses can benefit from SEO, especially if they want to continue seeing success in the future. Every dentist office is always on the lookout for new patients, and having an effective search engine optimization campaign, that makes it easy for that office to be found in search results, is the best way, especially because when looking for a new practice, very few people look in the yellow pages. Instead, they get on Google and type “dentist” into the search bar. Dentists who want to maintain their current success, are opening a new practice or practices, or who have seen a slump in patient attendance in recent months can all benefits from SEO. Search engine optimization is a series of strategies that help your website rank highly in relevant search results. Because Google is the most popular search engine, we often talk about search engine optimization in terms of Google’s search algorithm, though it is important to note that Yahoo! and Bing both use their own algorithms, and that in some instances, it might be better for you to focus on those search engines than on Google. Basically, search engine optimization is designed to make your website findable on Google. The ultimate goal is to get onto Google’ first page, where more than 98% of searchers look to find the information they need. The foundation of any search engine optimization for any website is content and keywords. Using the right keywords (the terms people type into the search bar when looking for a business or for information) in your content makes your website easier to find. SEO can become very complicated and there are many people who over complicate SEO, in an attempt to get a better page ranking. In the past, Google relied almost entirely on the frequency of a certain keyword on a page in order to determine that website’s relevance. As you can imagine, this system was extremely easy to game, and over the years, Google’s algorithm has become more and more sophisticated, taking into consideration hundreds of factors as it ranks websites in search results. That said, having great content is still the foundation of a successful SEO campaign, along with a range of other tactics that make Google pay attention to your website and to rank it highly so interested parties will find it. But does your website even need search engine optimization? Is it important for searchers to be able to find your practice online? Why Is SEO Necessary for Dentists? Gone are the days when a person’s first inclination when it comes to looking for a business is to open the local yellow pages. Businesses would spend thousands in order to get yellow page ads—and this was an effective way, before the proliferation of the internet, to garner the attention of potential patients. Today, however, most people simply pull out their smartphone and search for the nearest and best dental practice in their area. This means that if you are in the yellow pages but are not online or do not have effective SEO, you are going to miss the opportunity to attract those patients to your practice. A practice that both wants to retain its current patients and wants to find new patients needs SEO. How does SEO help you retain your current patients? First, because SEO demands great content, your website will include lots of great content, from information about certain teeth-related issues to information about the kinds of treatments that you provide. If you have a blog, you can also write about topics related to dentistry and to the concerns of your patients, in order to keep your current patients engaged with your practice. Second, it keeps your website easy to find for those patients. They may not have your number on hand and will probably go online when they want to call to schedule a routine or emergency appointment. How does SEO help you find new patients? By making you more visible on search engines, SEO attracts individuals looking for a new dentist. The higher towards the top of local search results you are, the more likely you are to beat out your competition and bring searchers into your practice in order to turn them into patients. How Do You Start Dental SEO? If you are just now considering starting dental SEO or you have a SEO campaign that is not currently effective, it is never too late to start or to revamp your campaign. The first thing you need to do is look at the content on your webpage. Is it useful, current, and relevant? Does it speak to the needs of your patients? Getting to know your patients and their demographics can help you replace low-quality content with great content that your patients will respond to. 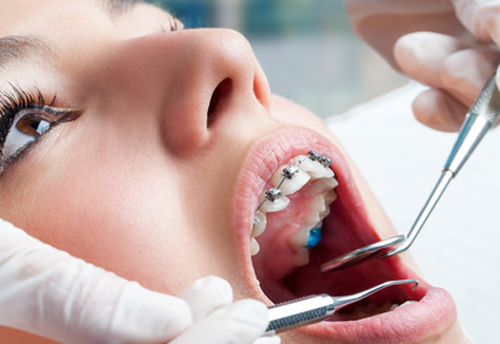 The second thing you need to do is contact a dental SEO specialist. Whether you are internet-savvy or are fairly new to the ideal of search engine optimization, a specialist can help you develop a plan that is going to be effective for you and your practice. They can also actually implement the strategies they suggest, which is a great alternative to having to take on all of those strategies yourself if you are strapped for time or do not really understand the needs of your SEO campaign.